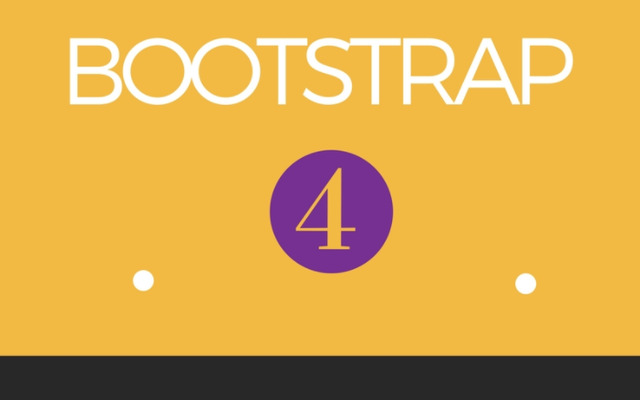 Even if you are not that much into web design, you may well have heard of Bootstrap framework. No surprise really, since Bootstrap is what makes websites fully responsive and completely adaptive to the screen size and resolution of any digital device. Being one the most popular HTML, CSS, and JS web development frameworks, Bootstrap has helped to create designs for both personal and business projects. Not a web developer, but want to try building a Bootstrap based site? 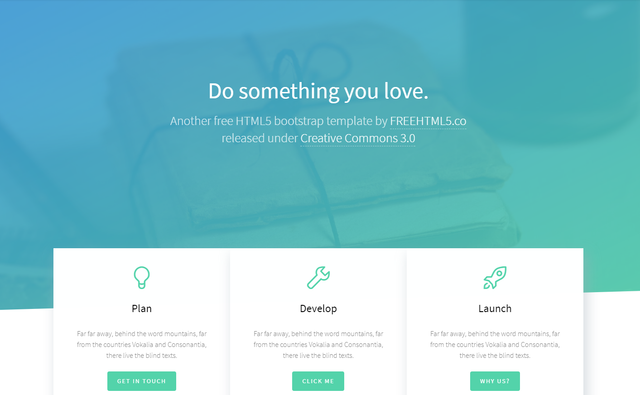 With ready-made Bootstrap templates this is a lot easier than you think. Thousands of template providers all over the Internet offer an insane selection of themes. 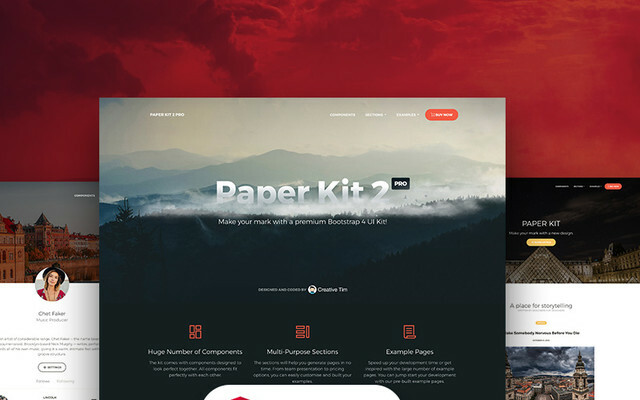 Take a look at this collection of 5 best-selling Bootstrap website templates delivered by TemplateMonster and you'll definitely find the one for your project! 100% responsive layouts that seamlessly render at any pixel densities making your design look sleek and concise. An array of customizable ready-made HTML5 web page layouts suitable for any type of project. The latest TemplateMonster Bootstrap templates come packed with Novi Builder, a high-performance drag-and-drop editor anyone can use. Absolutely free 24/7 lifetime technical support and extensive documentation with every template purchased. Free high-quality images to use in your designs. Any of the following Bootstrap themes will work to the benefit of your project. So, let's take a closer look! Brave Theme is a multipurpose SEO-friendly Bootstrap template. This is a multi page HTML5 template that comes shipped with Novi on board, an optional Visual Page Editor. 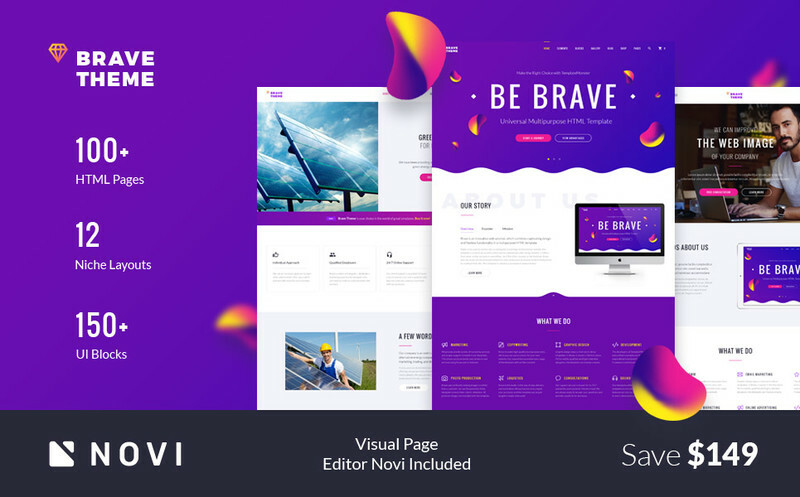 Brave Theme offers a set of 100+ pre-made HTML5 pages, 11 niche page layouts as well as blog, e-shop and gallery web page templates. The cool thing about Brave theme is that it's geared towards beginners. The users will benefit from using Novi Builder which is one of the best visual page builders. 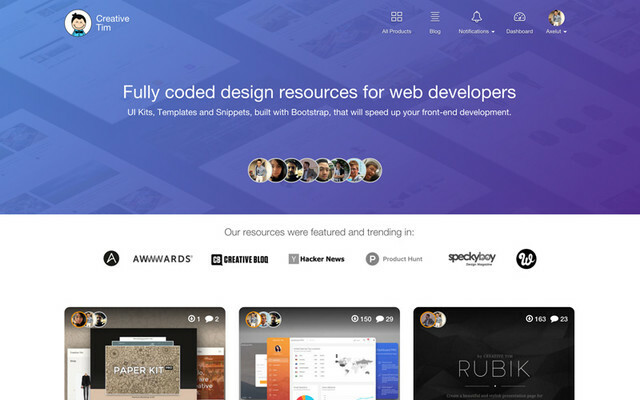 With its help, creating great layouts is possible without any coding skills required. It is a real timesaver with all the ready-made layouts and styles. Apart from that, you get all the images that come with the template absolutely free. 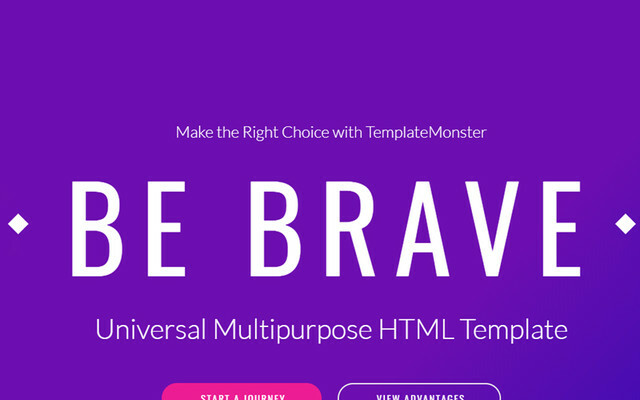 Apart from the above functionality, Brave Bootstrap website template is compatible with Campaign Monitor and MailChimp platforms which is perfect for marketers. If you experience any difficulty with customization, feel free to address our free 24/7 lifetime tech support! 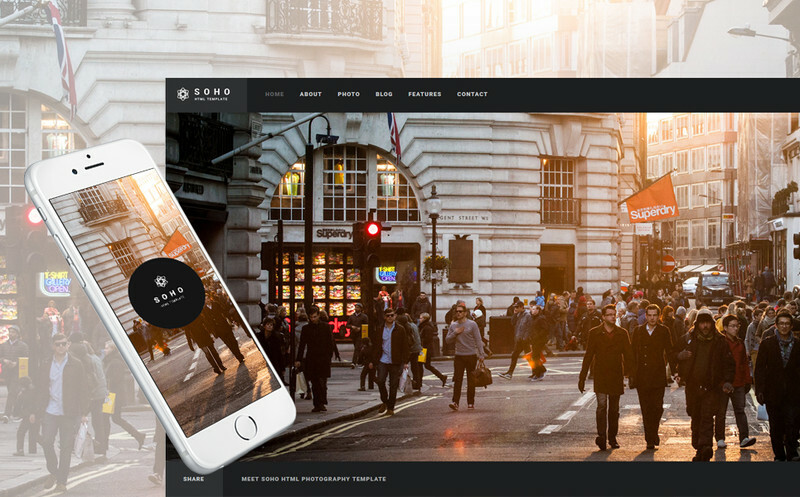 Soho is a spectacular photo portfolio website template based on Bootstrap framework. Being a professional photo & video template, it allows you to build a creative visual presentation of your artistic talents and skills. Soho offers an eye-catching full screen slider with image and video support, several types of portfolio and gallery layouts, 50+ HTML files and more. 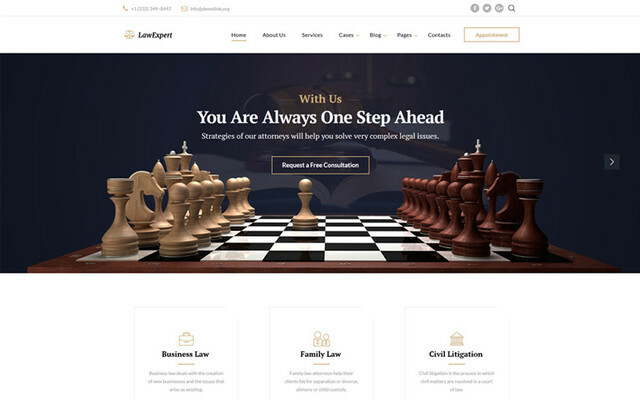 Created with SEO in mind, this Bootstrap theme is search engine friendly, which will ensure high rankings and a steady flow of incoming traffic. 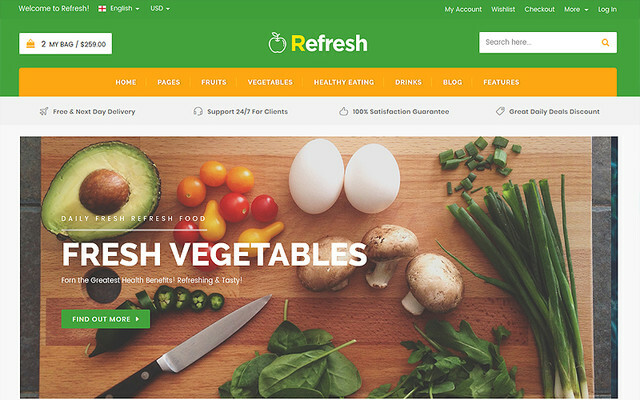 Both end-users and developers will benefit from the valid semantic code used in Soho Bootstrap website template. Still, keep in mind that some of the forms that are included may demand extra scripts to work properly. Check out the live demo to test-drive the functionality of Soho! 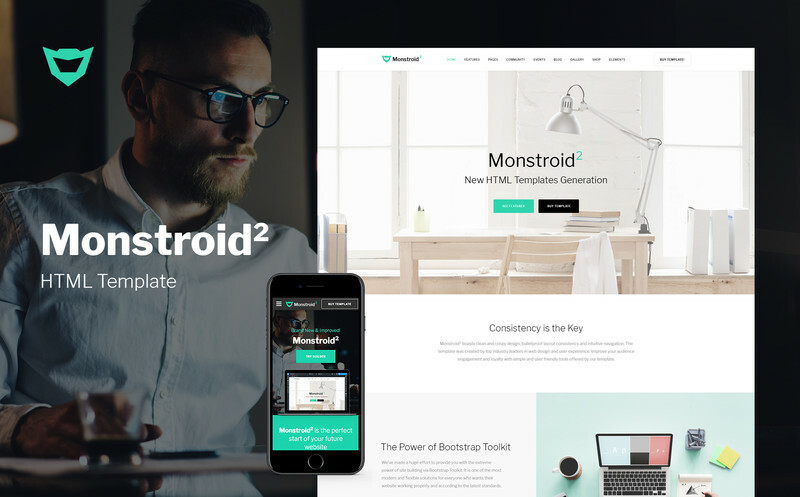 Monstroid2 Bootstrap Website Template is an HTML5 version of TemplateMonster's juggernaut theme. In spite of a platform change, the functionality range stays as versatile as expected. Monstroid2 Bootstrap Website Template comes packed with 400+ HTML files and offers an array of features. 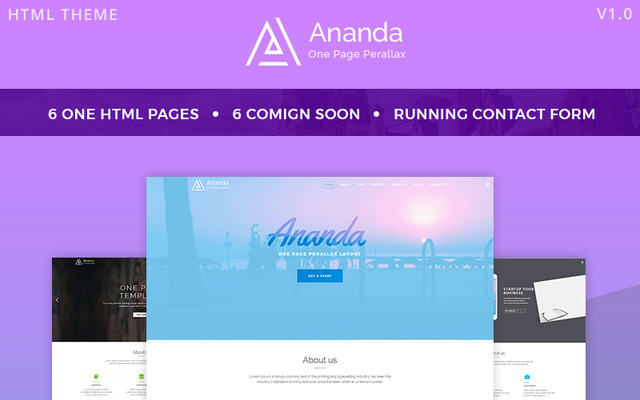 For example, 80+ multi & one page demos, pre-made layouts, blog and portfolio templates provide you with ways to create a website for any type of business. Even if you want to build an e-store, you can make use of eCommerce Shop Templates! 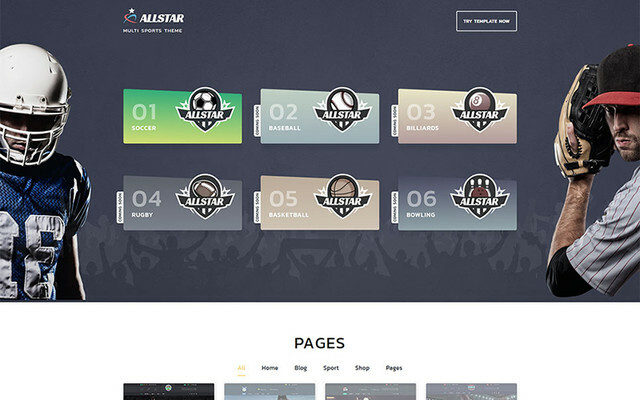 Visual appeal of this template is enhanced by smooth Parallax scrolling. Free images come as a bonus for Monstroid2 template. Because of the rich documentation, you won't have any customization problems. Just check the live demo to test-drive the functionality of Monstroid2! 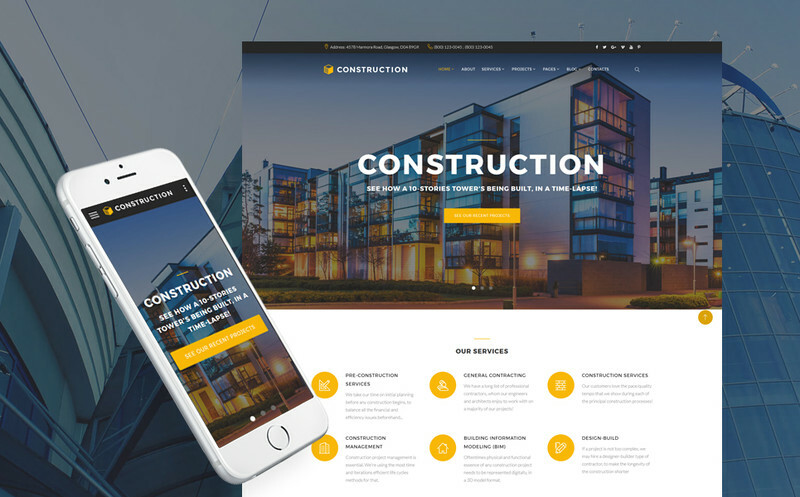 Construction is a 100% responsive multipage Bootstrap website template for a building company. Being a part of the Monstroid2 family, it offers a vast array of features. Novi Builder is a visual drag-and-drop website builder perfect for web design beginners. Editing any element becomes fast and easy in the WYSIWYG mode. On the other hand, professional web developers will benefit from the Advanced UI kit, extended Bootstrap toolkit, and 400+ HTML5 templates! All of the above functionality comes in 9 different skins. With 40+ ready-made HTML5 web pages, creating any type of content won't be a problem at all. Feel free to use a variety of header and footer layouts, as well as 4 blog layouts to convey everything about your company. 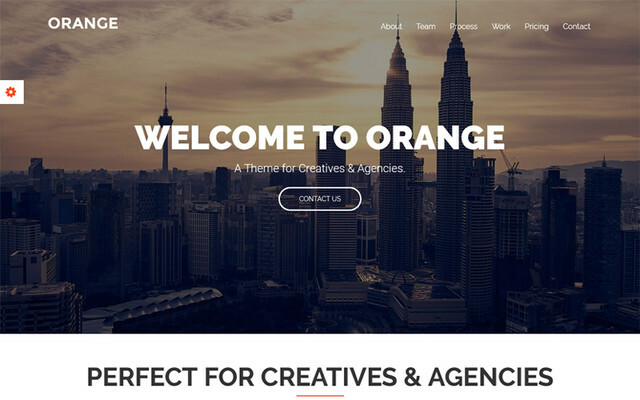 Choose this SEO-friendly Bootstrap website template to create an eye-catching website! 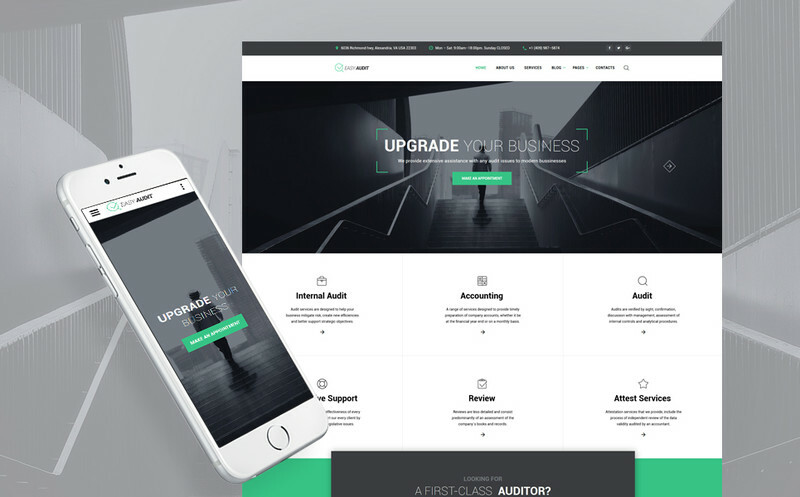 Easy Audit is a multipage Bootstrap template for consulting companies. Being a part of the STARBIS family of website templates, it offers a package of professional features. 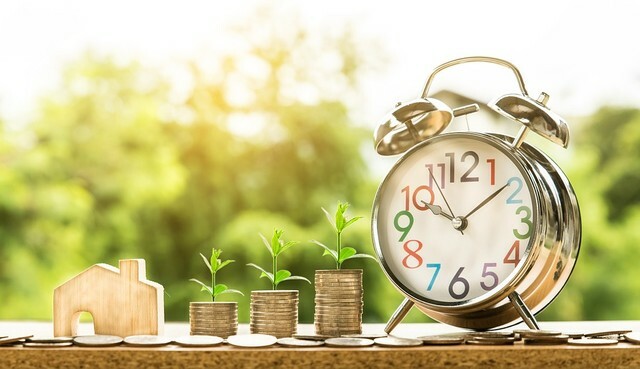 For only $75, your Easy Audit website theme is supplied with a package consisting of 6 niche templates, 200+ ready-made HTML5 web page templates, 150+ PSD files etc. Also, web design noobs will definitely appreciate the drag-and-drop Novi Builder that will help to create or customize the required layout without touching a single line of code. On the other hand, professional web designers will favor features like the immense UI kit, SCSS & Jade files and free lifetime updates. 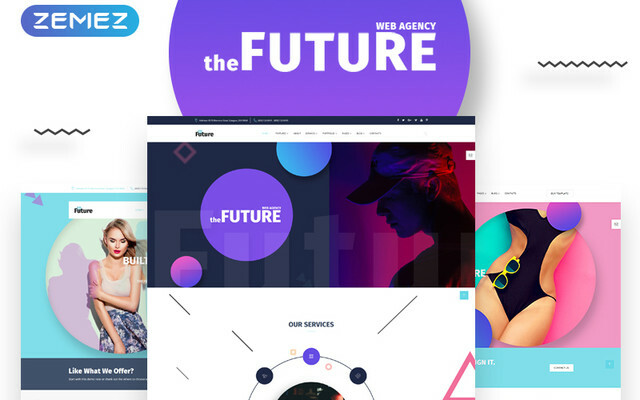 This HTML5 template sets no limits to your creativity offering native 35+ ready-made HTML5 pages, 5 blog layouts, forms and plugins. Created with SEO in mind, this multipage Bootstrap website theme will be a great fit for any business! Here we are! Hopefully, this selection of Bootstrap templates has got you inspired and you've found the one to make your website pop online. What if you don't want to spend time trying to figure out how to customize a chosen design? Well, that's not a problem at all - just turn to our Service Center to get your template customized within 24 hours!